Becclyn Quilts: It's a Bag! What a great gym bag! Nice job! 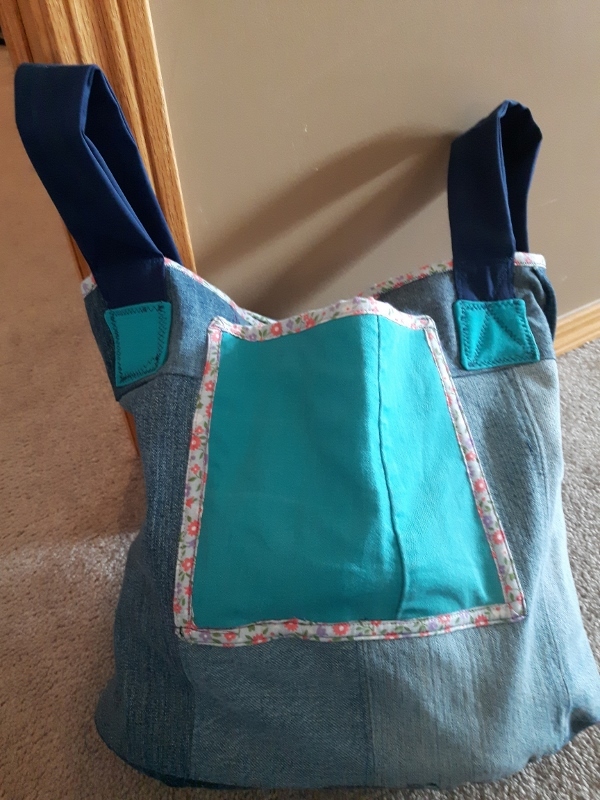 The bag looks lovely. Thanks for linking up with Elm Street Quilts Bag It event! I'd say it's perfect then! 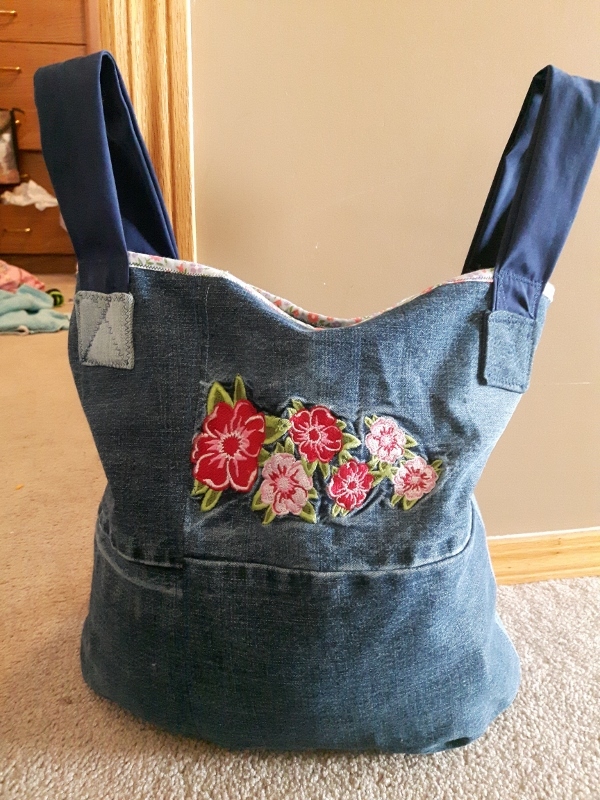 Nice bag - I'm sure your daughter loved it :) I love working with upcycled denim - I hit the thrift stores when they have sales and often get kids jeans for a buck a pair - bargain!